Segments can be created in a few ways and saved for reuse with any of your campaigns. Filter your list by up to five segmentation conditions, and choose to include or exclude subscribers for each condition. For example, you can create segments of people who are your best subscribers and whose ratings are 3 stars or higher. Once on the ‘Lists’ page. Click the name of the list where you want to create a new segment. Click the ‘New Segment’ button. Click the relevant options to show you the people you are creating your segment for. Click Preview Segment to continue. This will show you which subscribers meet the criteria you’ve set. If you’re happy with the segment, click the Save Segment button. To continue editing your segmentation criteria, click Edit. Navigate to the ‘Campaigns’ page and open the campaign you want to work with. On the ‘Recipients’ step, click ‘Send to a new segment’ to open the segmentation options. Continue as above from step 5. You can also create a segment from a list of email addresses, so you could also create your segment this way. 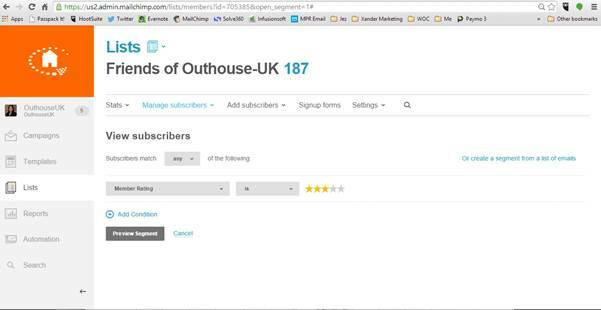 When you combine segmentation criteria, pay special attention to the Subscribers match any/all of the following drop-down menu. Any pulls subscribers who meet any of the conditions you select; All pulls only subscribers who meet the combination of conditions you select. For example, when selecting your criteria you may want to set up a segment for people who subscribed to your list through a piece of marketing you did, but only before a certain date. To add this additional info, you need to select ‘Add Condition’ and then Select the relevant info to show you the people you want to see e.g. Select: ‘Date Added’ ‘Is before’ ‘21/09/2014’. Now you’ve got your segments set up and ready to go – you need to know how to use them! Once you are in the campaign builder section, on the recipients tab select the list you want to use, and then select the option ‘Send to a saved segment’ and select the name of your saved segment – it’s as simple as that. 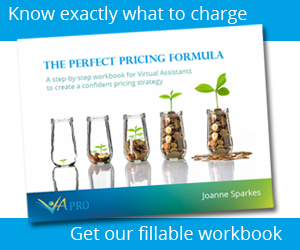 Next articleWhere do you want your VA business to be this time next year?